You just found a magical genie lamp. Make a wish! If you could have anything you wanted, what would you wish for? Wealth? Love? Fame? We know the answer to this question for nearly all of our clients and people who contact us. If they had one wish, it would be for their health. Be thankful every day for what you have and for your health. Our clients not only have issues that cause them to be disabled, but then have their benefits that they paid in to, denied by the insurance company. It can be very challenging to fight an ERISA claim while being disabled and having no income. If you have been denied disability insurance benefits for a private policy you paid in to, call us to see if we can help. 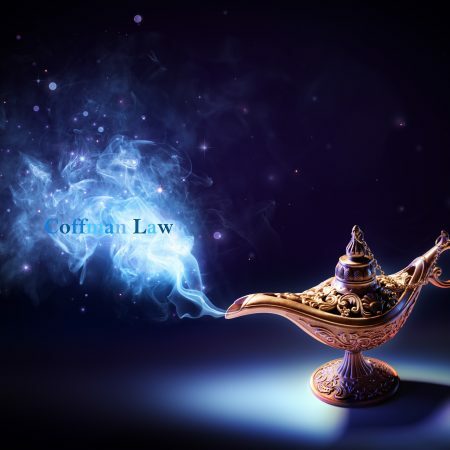 Coffman Law – Working for you when you can’t work.